Giving something back has always been important to John Watson. In addition to significant charitable giving, John places great emphasis on providing a helping hand to young entrepreneurs keen to create or grow their business. His philanthropic work is far–reaching, too. 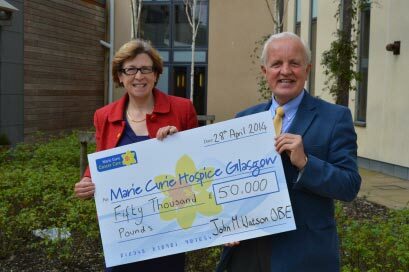 John serves on the fundraising board for the Marie Curie hospice in Glasgow and was part of the team which raised a colossal £16.1 million to create Glasgow’s new hospice. While John was still working, the Company provided the hospice with free printing. He has helped a number of organisations – notably and has contributed to the creation of the “Watson Auditorium” at The Glasgow Academy. In 2016 The Watson Foundation sponsored a new exhibition at The Hunterian Art Gallery at the University of Glasgow entitled “Comic Convention” featuring a recently discovered vintage comic printed by John Watson and Company in the early 19th Century called “The Glasgow Looking Glass”. A sensation in its day, it poked fun at many Glasgow individuals. John is a firm believer that business and individuals who have been successful must give something back. 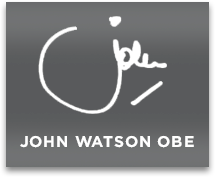 Since his retirement he has set up “The Watson Foundation” to help young entrepreneurs establish and grow their businesses. 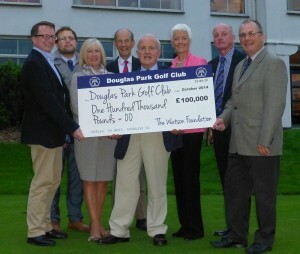 It also offers charitable help and has so far assisted three medical charities and three sporting ones. Picture courtesy of Great Scot Photography. 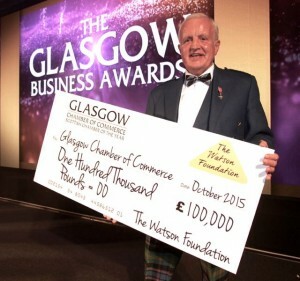 He retains close links with Glasgow Chamber of Commerce and Entrepreneurial Scotland – two outstanding organisations which are renowned for helping to support and create businesses, with growth potential. 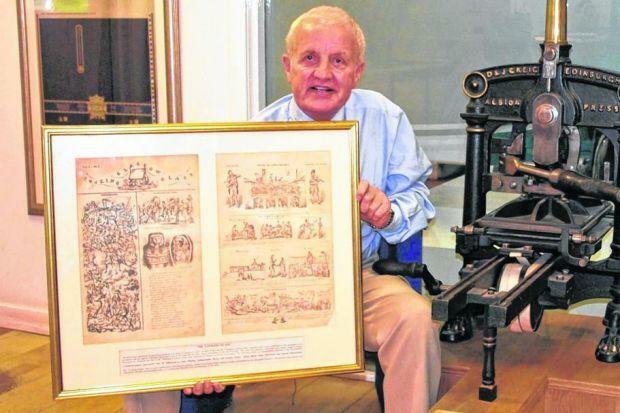 In early 2016 John became involved in saving the iconic “Cossar Press” – an iconic printing press dating from 1907 and built by John Cossar in Govan, Glasgow. The essential aim is to establish it as a working newspaper press once more at the National Museum of Scotland.